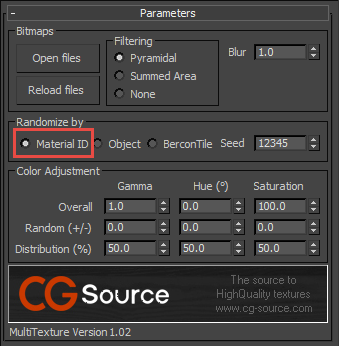 I would like to create some texture variation using Bercon Gradient, Multi-Texture or CrossMap. Is this possible? Yes! 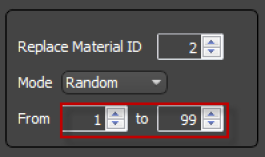 Because RailClone can randomise Material IDs, it's possible to use all 3 of these plugins with RailClone. Create a Style with a new segment to take the randomised texture. 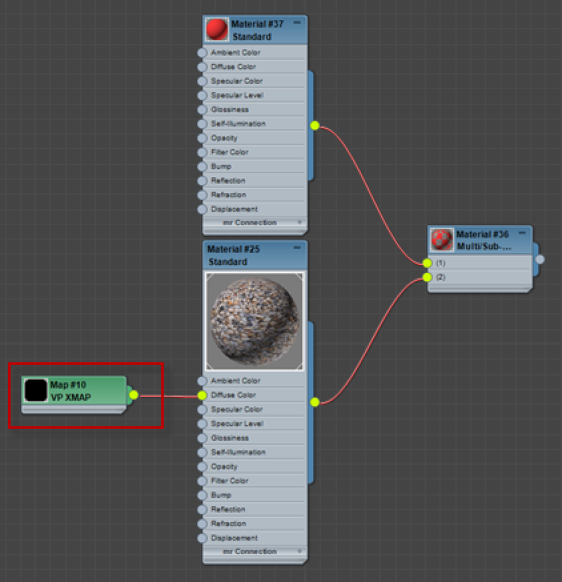 Wire the segment to a Material node and set it to Randomise. The Range chosen will determine the number of variations. Alternatively you can use VizPark's Crossmap quite successfully with RailClone. This is very easy to use. 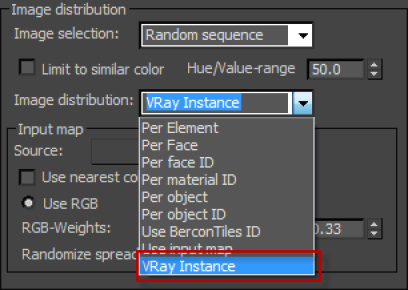 Then use the CrossMap plugin for the material you wish to randomise ensuring you set the Image Distribution settings to V-Ray Instance. Despite the name, this seems to work for Mental Ray too!